This product is designed to improve safety and ensure the reliability of a material subject to erosion or corrosion. The main aim of this product is to measure the components such as Pipelines, Pressure Vessels, and Storage Tank etc. 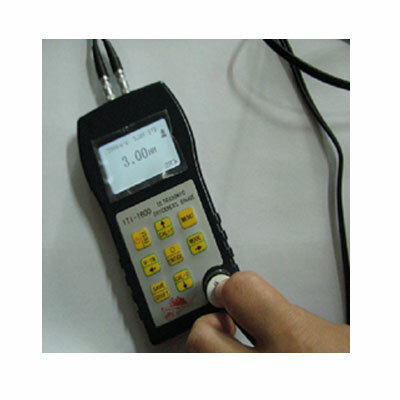 To get the accurate results, it is important to buy a best quality product; India Tools & Instruments Co. is the finest Ultrasonic Thickness Gauges High-Precision Iti-1600 Manufacturers, known for its superior quality products. This is a portable and handheld product, which is widely used in industries and many other sectors. Due to it portable feature, it can be used at any location. We serve the wide range of products for various industrial needs. Being the best Ultrasonic Thickness Gauges High-Precision Iti-1600 Manufacturers, Suppliers and Exporters, we focus on the quality of our products. Our products are lab tested and our team ensures to maintain the quality. To know more, call or drop us an email.